Karhi patta plant is a evergreen small plant grow upto 8-10 high . Used widely in Indian cuisines, either fresh or dried, the leaves are often heated in oil to release their flavor prior to adding to a dish. The aromatic leaves are green, small and narrow. They can be found fresh or dried. Choosing: First smell the leaf, you can still use those with aromatic scent but do not buy it if it doesn't have anymore smell. Do not buy brittle ones. Check for mold or algae. Buying: You can buy Karhi patta at your nearest grocery store or spice house. If you have some very fresh curry leaves, you can try to root some as stem cuttings. Take some of the twigs which are not very floppy and green nor very hard and woody (this stage is called semi-ripe), and remove most of their lower leaves. Cut the stem cleanly at a node, and push the cutting a few centimetres into a 50/50 mix of potting compost and aquarium gravel, with about 3 leaves above the surface. Put the cuttings in a propagator or covered pot, in a warm light place out of direct sunlight. Rooting will take about 3 weeks. Alternatively, if you find some fresh curry leaves with ripe seeds on you can grow these: they require about 20°C to germinate and may take a long time to germinate. Established plants need a sunny, well-drained place. They may easily outgrow any space you have for it! As the plants grow, keep trimming them regularly to maintain a supply of young leaves for cooking. Water regularly and feed during the growing season. In winter, keep the pot in a warm, frost-free place (minimum temperature 12°C.) In early April, soak the pot, repot if needed, and move the plants to a warm light place (around 18-20°C). The curry leaf is used whole in curries and fish dishes. It may be added to a stock like the bay leaf is used. It is one of the most important ingredients in the dish karhi. Curry leaf has a relatively short shelf life. It can be frozen or crushed but loses a great deal of the flavoring. Cleaning: You can clean fresh curry leaf with running water or with piece of dry cloth. Curry leaf, is one magical herb with distinctive flavour which brings out the great aroma of most Soutn India curries. They are available in abundance in India but a treasured groumet produce for people living in other countries. Preserving and storing them is a big question among many most of us. After trying a few attempts in my kitchen, came to a conclusion that freezing would be best solution to preserve this green gold. Curry leaves can be preserved in the following ways. 1. Fresh curry leaves with stalks, stored in ziplock bags can be refridgerated for few days. Max: 5 days, later they turn dark black and stinks. 3. Fresh curry leaves with stalks revomoved, wiped clean, lightly dry toasted and dried for few days will result in dry curry leaves. Very mild in flavour and stays good for 6 months if stored in air-tight box. Another way to store is to make a powder of those toasted leaves. History: The use of curry leaves as a flavouring for vegetables is described in early Tamil literature dating back to the 1st to 4th centuries AD. Its use is also mentioned a few centuries later in Kannada literature. Curry leaves are still closely associated with South India where the word 'curry' originates from the Tamil 'kari' for spiced sauces. 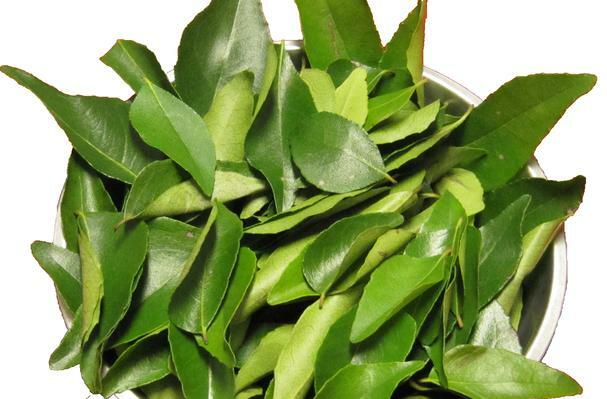 An alternative name for curry leaf throughout India is kari-pattha. Today curry leaves are cultivated in India, Sri Lanka, Southeast Asia, Australia, the Pacific Islands and in Africa as a food flavouring.